And so to Newham and another crowd-sourced borough top 10. Many thanks to everyone who contributed on Facebook or emailed us. Our very own JohnnyFox has lived in Newham for 10 years and although he was tempted to nominate London City Airport as the best thing about the borough (i.e. a good way to leave it) he concedes that he loves Thames Barrier Park, which is "never busy even on an August Bank holiday" and affords great, close-up views of the Thames Barrier itself. The park includes a distinctive "green dock" with wave effect hedges and a fountain plaza for people to plash about in. 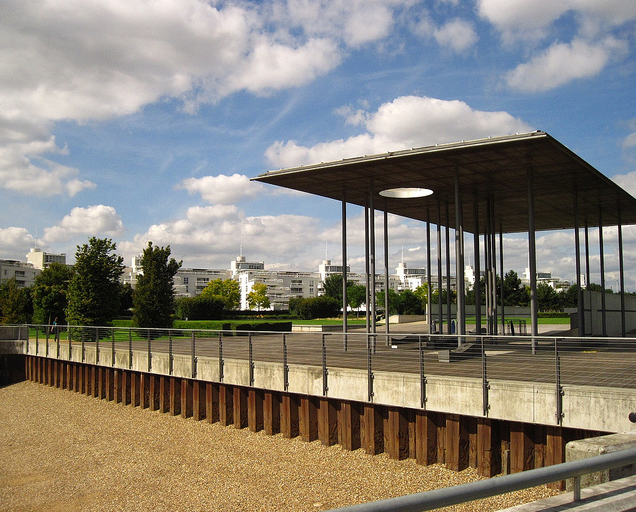 It's also home to a tall and elegant Thames Barrier Park Memorial Canopy (pictured), which remembers Newham people who lost their lives in two world wars. Bow Creek Ecology Park gets kudos from Sarah Kudirka and Pete Fallon, Warren Paull stands up for West Ham Park (managed by the City of London) and Abigail Amelia-Farrow praises Beckton Park and Newham City Farm where she used to day trip with her kids and visit Blaze the huge Shire Horse. 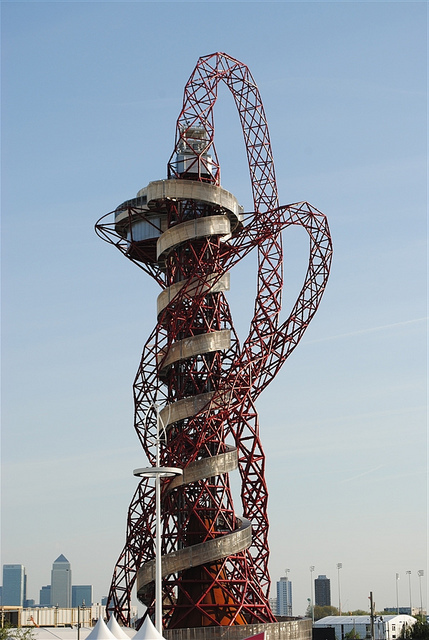 Of course, come July 2013, the Queen Elizabeth Olympic Park will start to reopen to the public. The wildflower meadows and landscaping were one of the hits with spectators at the Games, so we hope they're retained or improved upon. Newham must be the borough with the biggest variety of transport options. 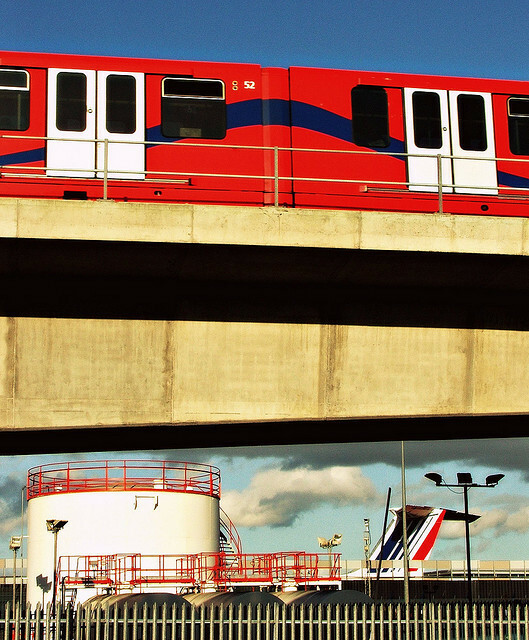 On top of tube, national rail and bus, you can also catch the DLR or cable car, descend into a foot tunnel, ride the free Woolwich Ferry and even fly away via London City Airport. It just needs a supertram for a full set. 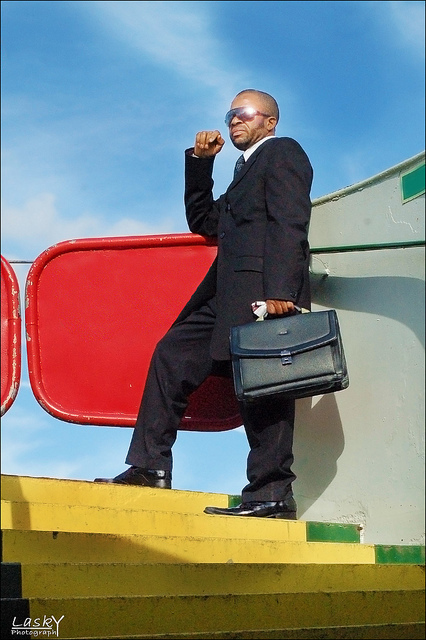 When the DLR extension to Woolwich Arsenal opened in 2009 we declared it the best way to cross the Thames. Despite a repair programme, the foot tunnel remains in a less-than-sparkling state. We have to lean towards the novelty thrill and elevated views available from the cable car, even though it costs a bit and it's not being used very much, in this instance. Danes Yard Kitchen is new on the Sugarhouse Lane redevelopment, but Helen Prior says its already fantastic and more people agree on our Facebook page. It's just across the road from Westfield Stratford City, but a whole world away. She says its "a gorgeous canal-side British-fare place with an incredibly friendly staff". Grace Pattison says Sugarhouse Studios do the best pizza in town. It's certainly reasonable at £4-£6, although the former sign-writers' workshop is slated for demolition in 2013 as part of the redevelopment of the area. Other tips come from Fiona Wootton voting for Chawalla's vegetarian restaurant on Green Street as her "favourite place for food — as good as Tayyabs, seriously — lovely service and mango lassis". Pete Fallon tells us Chan's Chinese at 321 High Street North in East Ham is David Bailey's favourite and has been there since 1971. He also recommends Cafe Rial at West Ham DLR which is full of books, has a Polaroid wall and does great coffee and food. Finally, Jo Tacon bigs up Thailander in Stratford as the best-named takeaway in London. She may have a point. We can't choose between these two, having only visited the first. 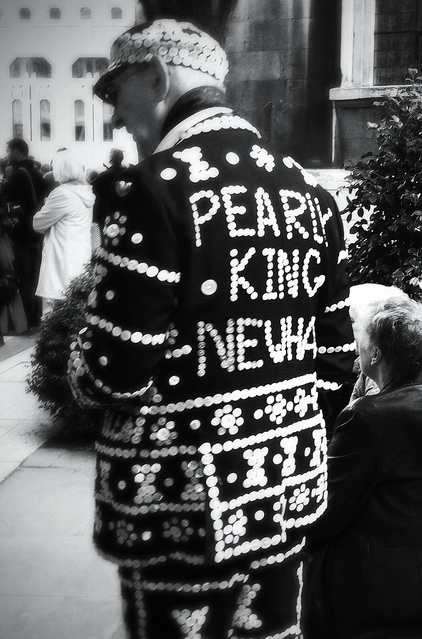 Warren Paull and Helen Prior nominate King Eddie's in Stratford. This traditional boozer, also known as the King Edward VII (formerly known as the unpatriotic King of Prussia) is a 19th Century grade II listed pub and a local favourite. Fiona Wootton nominates the Black Lion pub at Plaistow, saying it's "fab — great landlady, beer garden, old wooden beams and solid oak rounded bar, full of teachers and everyone exhausted from the hospital round the corner after work — very East End in a Pride of Spitalfields kind of way and the biggest portion of pub chips you can get for £1.20". It's the "proud home of the West Ham Boys Amateur Boxing Club" and one of the oldest local landmarks. D'Gaf on Leytonstone Road, Stratford has a Hookah Garden and menu of single flavours, cocktails and mixes for your shisha. It also does food (eat-in and take-away) and puts on gigs and performances but it doesn't do booze. 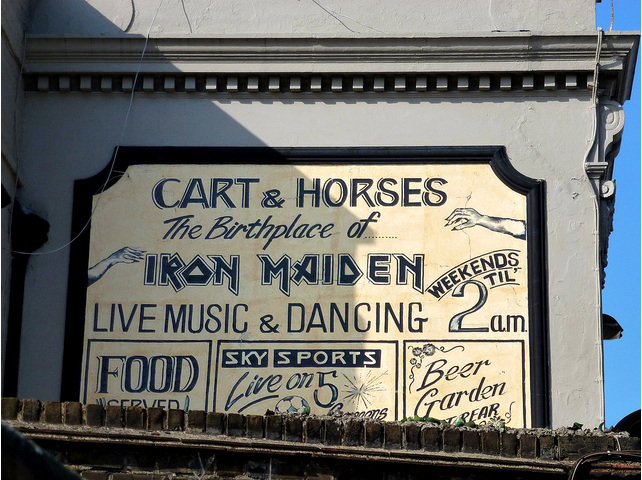 Brick Lane Music Hall was featured on BBC One's Inside Out this month and must take the top spot in this category for sheer throw-back value and efforts at keeping the music hall tradition alive. Relocated to Newham from its eponymous original home, JohnnyFox describes it as "a repository of long-forgotten acts and routines. The ticket format usually includes a 'meal' or for matinees 'afternoon tea' when you really can imagine vividly what life will be like in your retirement home". Expect a variety bill of pearlies, comics, ventriloquists, song and dance, singalongs and more. Find out for yourself at Brick Lane Music Hall, 443 North Woolwich Road, Silvertown. We also doff our cap to Theatre Royal Stratford East and Stratford Circus. Views from the Orbit have to rank among the best in the borough. Not only can you survey the Olympic Park immediately around you, but take in London from Docklands to the Shard, St Paul’s to Crystal Palace and, apparently, on a good day out to Wembley Stadium. However, you can't get up it at present, and when it does reopen to the public in 2013, it will presumably have a chunky entrance fee. 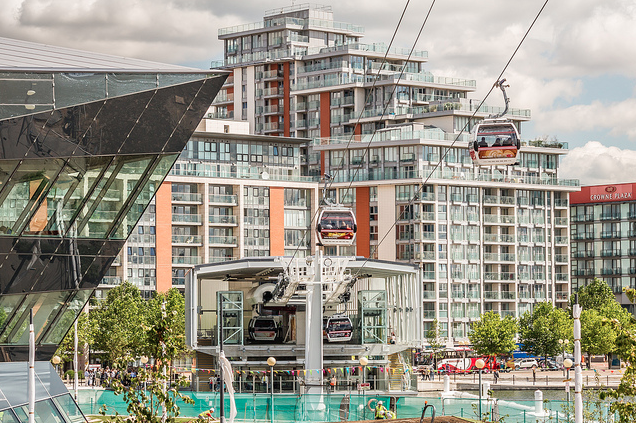 90m up in the cable car "views across the Docklands and Canary Wharf and toward the Olympic Park are "impressive, if not spectacular". But, again, you pay for the pleasure and most have to make a special trip to the Royal Victoria Docks take-off station for the ride across the river to North Greenwich. In the wake of the summer Olympics, we're going for the views from the Greenway, particularly from ViewTube, which we found in 2009 to have "the best publicly-accessible view of the Olympic site." The Greenway is a great place to walk or cycle through east London, taking in the River Lea, Bow Back River, Abbey Mills Pumping Station, Channelsea River, East London Cemetery and Beckton Alps. When the ViewTube reopens in December it will become a great spot to stop for coffee and cake and a gawp at the Queen Elizabeth Olympic Park taking shape. We're backing a newbie, nominated by Pete Fallon: Red Door Studios was recently approved by the borough as an official venue for arts and culture, looking to host art from across the spectrum, painting and photography to pottery and knitting. This weekend it hosts a four day art exhibiton and sale showing the "incomplete" works of David Apps, a local East Ham artist and photographer and there's a Christmas arts and crafts market upcoming in December. 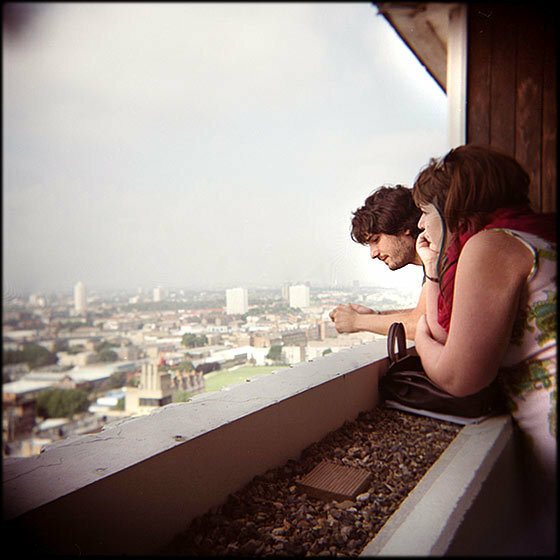 Special mention also to The Nunnery of Bow Arts Trust, which has often got us up Balfron Tower. Canning Town Caravanserai opened in 2012 on an empty site opposite Canning Town Station. It's a "locally-driven public space bringing together trade, training, performance, a community garden, and a place to eat, drink & play". The Caravanserai's should stick around for five years, before the site is redeveloped. To give you an idea of what's going on, this week volunteers have been constructing the Flying Carpet Theatre, this weekend there's a local history mapping exercise, a back pack (rather than car boot) sale, a Spanish workshop, open mic music as well as food stalls and other makers and traders. Like their Facebook page to stay up to date. Historically, Newham was big on greyhound racing, speedway, and stock car racing, which all took place at West Ham Stadium. In future, once the Olympic Park has been rejazzemerised, the borough will probably boast some of the best aquatic, athletic, cycling, football, tennis and hockey facilities in the country. 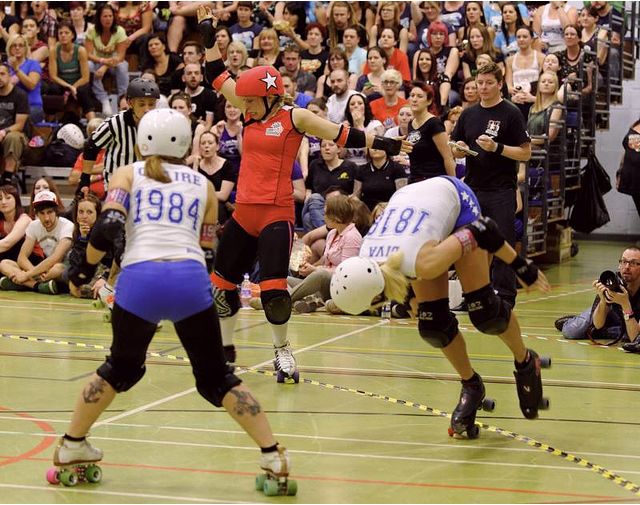 In the meantime, West Ham United are the obvious choice, but we get more excited by the attitude, strength, speed and spectacle of the London Rockin' Rollers putting 100% commitment into Roller Derby bouts at Newham Leisure Centre. Do you agree or disagree with our selections? Let us know in the comments. Many thanks to the photographers who shared their images of Newham in the Londonist Flickrpool: Hoosier Sands, psyxjaw, Dave Amis, O.F.E., Brian Lasky, D I C K S D A I L Y, sjnewton and zimtkino. Other instalments in this series: Barnet, Brent, Bromley, the City of London, Ealing, Enfield, Hammersmith and Fulham, Haringey, Hounslow, Lambeth, Lewisham, Redbridge, Royal Borough of Kensington & Chelsea, Southwark, Wandsworth, Waltham Forest and the City of Westminster. NB The Best view category of this article has been corrected and updated as per the comments.